Identified as dynamic leaders in the agrifood industry two of Art4Agriculture’s team members have been invited to be AgriFood’s Skills Ambassadors. Their role involves actively promoting innovation and professionalism in the industry, and the benefits of education and skill development leading to attractive career pathways and opportunities. The program will provide Ambassadors with an opportunity to broaden and enhance their industry profile, confidence and influence at a national level through access to AgriFood’s diverse industry stakeholders. Ambassadors have been appointed for 12 months and will undertake specialised training, including media and public speaking, to enhance their personal and professional effectiveness. Our first The Bridging the Rural–Urban Divide workshop for our Young Farming Champions began the young farming champions journey to create multimedia products, training them for what they can expect going into schools, getting them to think about what messages they want to convey, and how, to their different audiences. The workshop provided learning opportunities for the young farming champions that were tailored to their requirements as advocates for agriculture, as well as enhancing opportunities for these farmers to network amongst other young dairy farmers from different primary industries. They got to see their similarities, they found common ground, they realised each has issues that are just as challenging, and they learnt how they can help each other. The workshop also provided access to information and advisors on priority issues of concern to the community and enabled participants to learn from experienced mentors. The Young Farming Champions’ intentions are not to “educate” people about agriculture, but rather create opportunities for an exchange of information and ideas between young people from both our cities and rural areas. Throughout the year, the Young Farming Champions will visit schools to bridge the divide by providing a young face of farming that students will be able to relate to and supporting those students participating in the Archibull Prize with information and ideas. The farmers are also developing short films, which will tell their story and give everyone a chance to look around their farms. Using multimedia to tell their stories is an important way to engage with a larger group of students from around Australia (and the world!). Always learning, the Young Farming Champions will meet again in November to share their experiences with each other. This will be an opportunity to evaluate the partnerships they are forging with city-based students and consider how to increase the levels of understanding they are developing. In 2012 the program aims to expand to include a greater number of industries and young farmers. The work the Young Farming Champions are doing now will underpin the growth of the program to benefit our whole community. Congratulations to the 20 schools in Western Sydney who have been selected to participate in 2011 Archibull Prize. 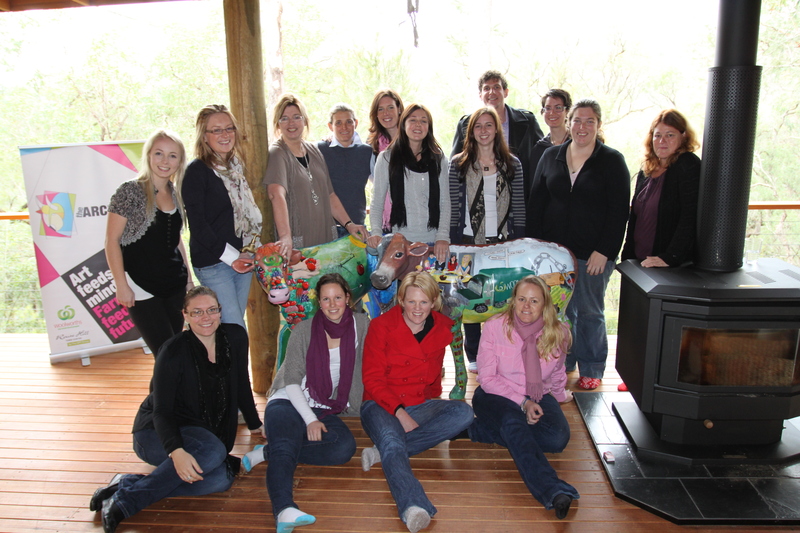 This year builds on the successful 2010 Archibull Prize pilot that started with an anticipated five schools program and grew to fourteen schools due to demand for the program from schools and supporting sponsors. Each successful high school will be provided free of charge with a life size fibreglass cow on which the students create an artwork about the selected theme. Each successful primary school will be provided with a life-size fibreglass calf on which the students create an artwork about the selected theme. To ensure students and teachers are well equipped and briefed on the program each school will be assigned a Young Farming Champion. The Young Farming Champion will come to your school to present the program to your students and provide a personal insight into their farming experiences. In addition, schools will have access to a kaleidoscope of paddock to plate professionals. The school is also provided with paint materials and a resource kit at no cost. • Produce a weekly web blog which documents the journey of the artwork. .
• Produce a short video to raise the profile of Australian farmers. • Produce a ‘PowerPoint’ for publishing via the LandLearn NSW website which communicates the importance and relevance of student sustainability learnings with a focus on a whole systems’ ( i.e. “cradle to grave” from “A to Z” from “start to finish”) approach. Research how these whole systems work and why are they so important for sustainability. The student groups will enter their project work to win the ‘Archibull Prize’ – which uses creative arts to engage the students and the wider community in discussions about agricultural sustainability and natural resource management. The result will see our next generation of consumers, decision makers and leaders having a deeper understanding of the future challenges that face our primary industries and the community more widely. What inspires you about farming? I think it’s an easy question to answer in the minds of enthusiastic, young farmers—but if it’s the first time you’ve tried to put it into words, there’s often a lot to say. 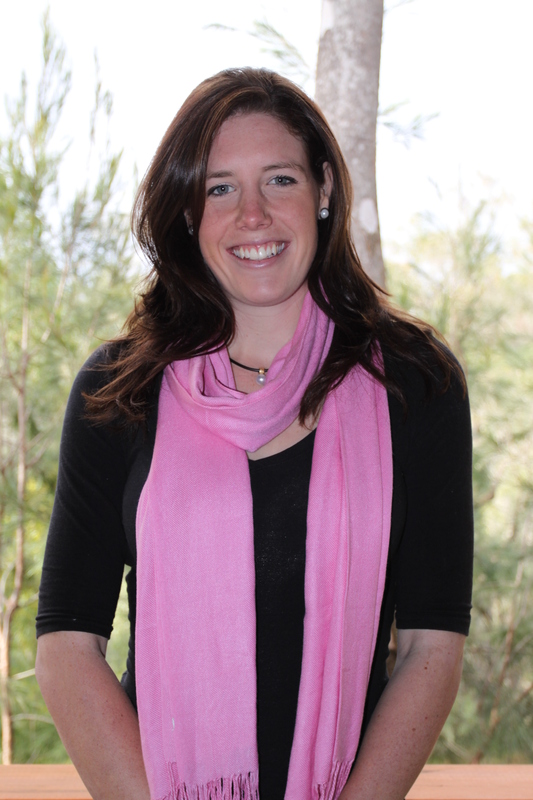 Our ten young farmers from NSW recently gathered for a workshop centred on Bridging the Rural–Urban Divide. They answered questions like the above, and talked about why and how they could help inspire students and urban people about agriculture. The Young Farming Champions learned about their audience, of ‘city people’, through listening exercises; they learned about tricky issues in agriculture and the future and perceptions of those issues; and they learned about themselves as leaders, speakers, and inspiring young people. Jenni Metcalfe and Sarah Cole (Econnect Communication) helped facilitate the workshop along with the fantastic organisational skills of Kirsty John and Loran Blades from Event Directors. So what’s the next step for these Young Farming Champions? Well, they’re in the middle of making videos and presentations for the kids they’ll speak to in schools, and then will head into those schools to talk about Art4Agriculture’s Archibull Prize. 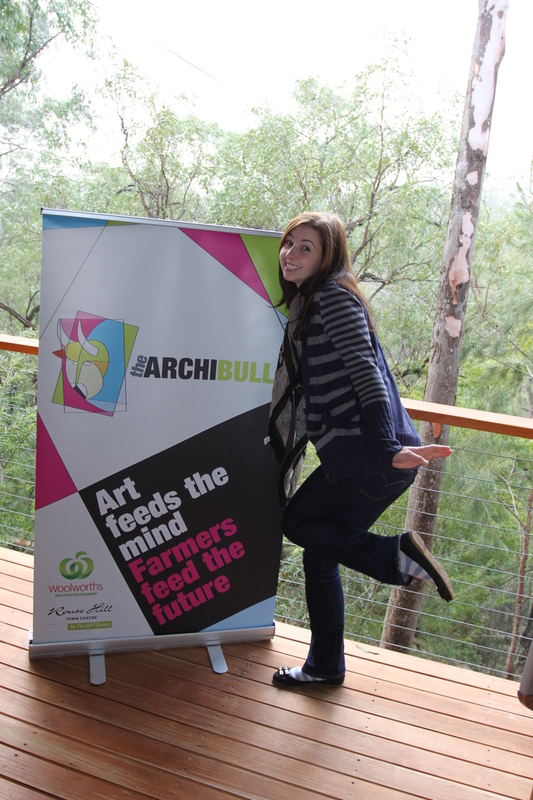 We can’t wait to hear about their successes and their experiences with the Archibulls. Art4Agriculture’s vision is to design and deliver community events that are a true celebration of the diversity, sustainability, creativity and progress of primary industries, their people, place and produce. Never underestimate the power of passion. 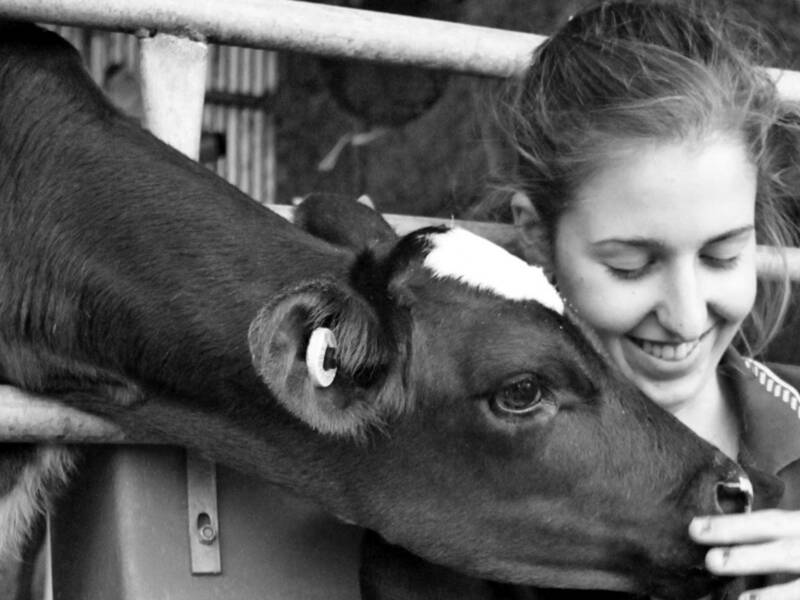 Art4Agriculture is a network of young people who share a passion to tell others about the pivotal role Australian farmers play in feeding the world. Art4Agriculture is committed to developing within the broader Australian population a deeper understanding of and greater respect for, the essential role played by Australian farmers in producing food and supporting the nation’s economy, community and rural amenity. To achieve this goal Art4Agriculture deliver self managed events and activities which focus on youth, career opportunities, the arts and community – all linked with agriculture.Recognising primary industries share common ground, we have tailored our new programs to both enhance the image of agriculture and encourage young people to consider agribusiness as a future. 1. The Cream of the Crop Competition invites students involved in primary industry and natural resource management studies to create a PowerPoint about a unit of their studies with the chance to win cash prizes for their efforts. The winning entries will be loaded on the web providing contemporary authentic, positive and popular stories about agriculture and the environment written by young people for young people. This initiative is vital as the changes to the way farmers manage their properties have moved much faster than educational resource development. 2. The Archibull Prize – The 2011 program will see students reflect on the theme ” The Rural/ Urban Divide- What does it take to feed Sydney for a day?”This theme celebrates the role Australian farmers’ play in feeding Australian families and many other families around the world. The average person doesn’t consider the resources required to keep a city well fed let alone the world! We intend on telling this story. The Archibull Prize program builds a bridge for farmers and communities to reach out to each other, share stories and improve understanding and work through potential solutions together. The project helps build the capability of young rural people to farm with resilience and confidence. Equally the student participants involved benefit as improving their knowledge of primary production will help them make better decisions as consumers and policy and decision makers. The Archibull Prize was developed with the support of the Department of Agriculture Fisheries and Forestry, Industry and Investment NSW, LandLearn NSW, Hawkesbury Harvest and the University of Western Sydney. 3. Bridging the Rural Urban Divide. This project will pilot a program for secondary schools which brings agricultural producers and the next generation of Australian consumers together to explore and understand the challenge of producing food and fibre sustainably. The objective is to bridge the rural urban divide – giving rural producers a better understanding of their urban customers and in turn, the urban communities gaining an insight into modern agricultural production and the efforts that rural producers undertake to protect the natural resource base. Farming champions will be trained to become local faces of sustainable primary production. Urban audiences, consumers and students will get to know them, enhancing their knowledge of sustainable food and fibre production and natural resource management. Our programs are a true celebration of the people and the places behind the food we eat. They deliver strong rural sustainability messages – not just to the students involved, but also to the wider community. They showcase the positive things farmers are doing and empower them to share their stories. Our activities are genuine, contemporary, engaging, fun and full of hope for a sustainable future. This program harnesses the energy and leadership drive of youth to forge cross-community partnerships to improve economic, environmental and social sustainability. It focuses on increasing the adoption of sustainable farm management practices, including conserving and extending green corridors, while improving food security to meet the needs of a growing nation and world demand. It fosters the confidence to grow.